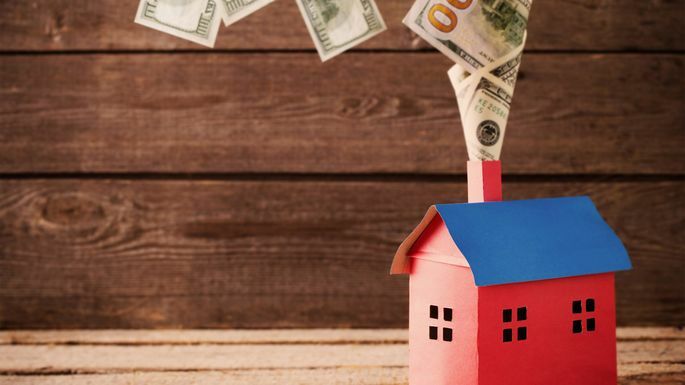 Afraid of Selling Your Home Too Soon—and Missing Out on Tons of Cash? Welcome to home seller's remorse—a rampant affliction among home sellers across the country. It can hit at any point after a home sale, where, akin to tossing a winning lottery ticket, home sellers torture themselves with fears that they've sold their home too soon, thus losing out on tens of thousands of dollars. Home seller's remorse can even kick in before a sale, stressing out homeowners who are thinking of selling but are worrying that they could be pulling the trigger too early ... and missing out on the windfall their home could become. Sound painfully familiar? In the strong seller's market we have now, where prices are rising across the country, it's understandable. Have you ever heard how you can't time the stock market? Pretty much the same thing goes for selling a house. Clairvoyant powers or a fully functional Magic-8 ball would be needed to know exactly what home prices will do next; even economists and real estate agents wouldn't dare make predictions with any level of certainty. So as a home seller, you shouldn't beat yourself up; hindsight, as they always say, is 20/20. “When you look back 10 years from now, it is unlikely that you will be as upset about the marginal difference," Fabrikant says. "What looms large today will likely seem insignificant several years and several other curveballs later in life." It also helps to see the trade-offs, says Shannon Boudreau, sales director at a new development in New York City. Some of her clients are downsizing from a large house to an apartment in the city. “The likelihood of values increasing elsewhere, in a nearby neighborhood, is also high," says Boudreau. So it's a wash. As such, “I would never advise someone to wait, because values are increasing everywhere," says Boudreau. "The more you make on your home sale, the more you'll probably have to pay for whatever you buy." Last but not least, homes aren't abstract, tradable commodities like stocks, where the only thing that matters is the stock's price. Homes are homes, and as such, have to fit your life circumstances—meaning that they need to be large enough to raise your family, to offer a convenient commute to your office, to be situated in a good school district, and more. So if you've changed jobs, or are expecting a new family member, or your eldest just got accepted to the top magnet school across town, then the question of when to sell your home may not truly be an option. You really can't wait! “Sometimes, sellers have to sell immediately," says Triplemint agent Gina Ko. So when clients fret that they might be selling their property too soon, Ko reminds them of the big picture. “Whether it’s to be closer to family in another area, preparing for a baby to arrive, or setting themselves up for a better job opportunity, these life shifts are opportunities for bigger and better things to come," she says.